Gum disease treatment can be treated fairly simply. A good place to start is with a professional cleaning by your dentist or oral hygienist. If ignored, gum disease can lead to more serious health issues. Beyond causing painful, swollen, bleeding gums and bad breath, if left untreated, periodontal disease can result in irreversible bone damage and tooth loss. Gum disease describes the inflammation of the gums as a result of bacterial growth. This bacterial growth is caused by a build-up of plaque that has not been removed by thorough daily brushing and flossing. This plaque forms tartar, or calculus, and bacterial growth, destroying the tissue that surrounds and supports your teeth. If left untreated, it can eventually infect the bone that supports the teeth, causing teeth to become loose, developed teeth abscess and even early teeth loss. Gum disease exists in two key stages: gingivitis and periodontitis. Gingivitis is the early stage of gum disease, affecting only the gums, and can be reversed if treated early. If ignored, gingivitis can lead to the more serious stage of gum disease, periodontitis. The more mild form of gum disease, gingivitis refers to the inflammation of the gums caused by a build-up of plaque along the gum line. The symptoms include sore, soft and swollen gums that may bleed easily. At this stage, the bone structure surrounding and supporting the teeth is not affected. The first signs of gingivitis are having blood on your toothbrush or dental floss. The damage of gingivitis can be prevented and reversed with daily thorough brushing and flossing and general good oral hygiene. If it is ignored, gingivitis can lead to periodontitis. Periodontitis occurs when the inflammation and infection of the gum tissue spreads to the ligaments and bones that surround and support the teeth. This results in shifting or loose teeth that may eventually fall out on their own, or need to be removed by a dentist. A common sign of periodontitis is receding gums or pockets between the teeth and gums as well as pain while biting. While the damage of periodontal disease cannot be reversed, you can help prevent further damage with daily brushing and flossing and by visiting your Smile approved dentist. Gingivitis is an early stage of gum disease that occurs when gums become infected from the bacteria in plaque build-up. It is easily prevented with good oral hygiene, and can be treated by a Smile approved dentist without any serious or irreversible damage. Periodontal disease is a more serious stage of gum disease that results in irreversible damage. The bone that holds the teeth in place is infected and can eventually lead to tooth loss. Professional dental care is required to prevent further damage. Gum disease begins when plaque is not properly removed each day with good oral hygiene practices. This plaque build-up turns to tartar, promoting a bacterial infection. This early stage of gum disease is called gingivitis. While some people with gingivitis may not notice any significant changes or obvious symptoms, common signs include sore, swollen gums that bleed during brushing and flossing. The infection of the gums breaks down the gum tissue, and if left untreated, it can lead to a more serious infection that spreads to the bone. Infection and inflammation can progress without pain or noticeable symptoms. This is why regular visits to your Smile approved dentist are necessary to maintain good oral health and avoid disease. Even if you are not experiencing any obvious symptoms, you may still have some form of gum disease. Only a dentist can recognize and determine the progression of gum disease. Gum disease can be diagnosed through a periodontal exam with your dentist. During this examination, your gums will be checked for swelling, bleeding and firmness and your teeth will be checked for sensitivity and movement. The bone supporting your teeth will be examined with X-rays. The pockets should be less than 3 millimeters deep in healthy gums, with gums tight against the teeth with pink tips. Pockets measuring 3 millimeters to 5 millimeters usually indicate disease. Tartar could be spreading below the gum line and there may be some bone loss. Pockets measuring 5 millimeters or more often reveal a serious condition likely including receding gums and a larger amount of bone loss. After the evaluation, your Smile approved dentist or periodontist will make treatment recommendations. Treatment for gum disease varies depending on how severe the disease is. How Gum Disease Be Treated? 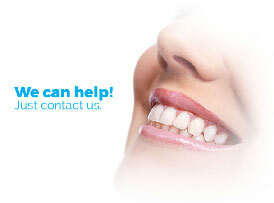 Gum disease can be cured with professional dental treatment. While you can reduce your symptoms and the progress of your disease by brushing and flossing daily, the only way to remove infection and save your teeth is to visit your dentist. The sooner you seek treatment, the better. The purpose of gum disease treatment is to control the existing infection and to halt the development of the disease. While correct oral hygiene and healthy eating are home care options, the only way to cure gum disease is to see a professional dentist. A dentist can treat the bacteria and restore supportive tissues in the case of more serious damage. It is important to have regular check-ups to assess the health of your teeth and gums. At your check-up, your Smile approved dentist will examine the plaque and tartar of your teeth and gums. If you are showing symptoms of gingivitis, your dentist might returning for cleanings more frequently than every 6 months. If your dentist concludes that there is some bone loss or that your gums are receding, the common treatment is a rigorous deep cleaning, non-surgical method known as scaling and root planing (SRP). Scaling involves scraping the plaque and tartar away from below and above the gum line. Root planing smooths uneven spots on the tooth root where bacteria accumulates. This smooth and clean surface assists the gums in reattaching to the teeth. This treatment consists of scraping away unhealthy gum tissue from the infected area and then allowing it to heal. Here your dentist will lift the gums away and remove the tartar as needed. They will then sew the gums back in position so the tissue fits firmly around the teeth. This procedure also decreases the size of the pocket, giving bacteria less room to grow back. If your bone has been damaged due to periodontitis, bone grafts will be used to replace it. Small pieces of bone (either your own, donated or synthetic) will be positioned where the original bone was eroded. These grafts work as a platform for the bone to regrow from as well as restoring stability to your teeth. Soft tissue grafts can be used to fill in gaps where gums have receded or to strength the gums. Grafted tissue is generally removed from the roof of the mouth and then stitched over the affected area. This treatment works by stimulating gum tissue and bone growth. Performed along with flap surgery, a little piece of mesh-like fabric is placed in between the gum tissue and the bone. This prevents the gum tissue from growing into the space where the bone needs to be, allowing the bone and its connecting tissue to grow back and properly support the teeth. Advanced or moderate bone loss can often cause shallow craters in the bone. This treatment smooths these craters by reshaping the tooth after flap surgery, making it more difficult for bacteria to accumulate and grow. Your dentist may prescribe you medications in pill form to assist in killing the bacteria that cause gum disease. Antibiotic gels, fibres and chips can also be directly applied to the infected area. Occasionally, a dentist might prescribe an anti-germ mouth rinse containing the chemical chlorhexidine that controls plaque and gingivitis. Your dentist will determine which treatment method is most suitable for your circumstances. The cost of gum disease treatment is dependent on your individual circumstances. The severity of your gum disease will determine which treatment method is required. At Beach Smile Dental in Redondo Beach , you will receive a guaranteed saving of at least 15% on all dental procedures.